Colin and Pauline have taken some photos of their holiday! I think they had a nice time. They’ll be back here on Monday, getting up to their usual… stuff? 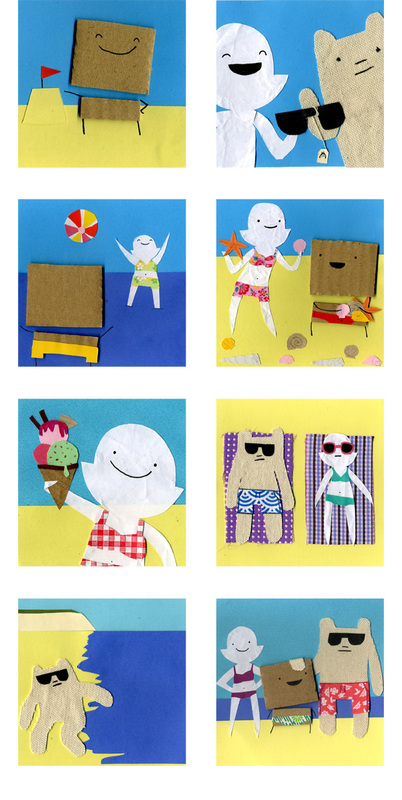 Oh and look, some Polaroid style photo prints of Colin and Pauline’s holiday snaps. I’m going to include one of these in every order I get from the shop during July and August as a summer treat (that includes the orders I’ve had over the last few days!) 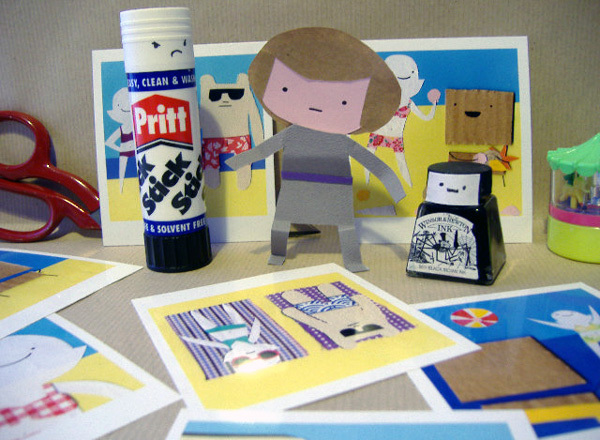 Hopefully they will make you feel cheerful and summery (rather than glum and envious like the Pritt Stick there). Does that mean I get one?! Since I just bought a copy of Doctor ‘Bandaid’s Hot Guide to Romance’. YAY! This is one of the most creative comics I’ve found on the web. It’s cute and very funny. I love it! Pauline’s swimsuits are so cute too~! Oh… I love this site so much!!!!!! The second photo!! The second photo!! In the second photo, the polar bear is acually SMILING! Moments of history, folks! I haven’t had a chance to check out your comic for a long while. I remember the time you submitted it to Transplant. It is amazing how “My Cardboard Life” found its voice since then.